Icing: set aside 250g of soft butter, 250g of sifted icing (powdered) sugar, and 4 teaspoons of milk. This step is super simple: start mixing the pre-measured ingredients in the mixing bowl, and when they are mixed together, add milk with vanilla extract and mix everything together for a smooth, cream-like texture. Lay 12-cupcake baking form with paper forms, and fill them evenly to 2/3-3/4 of the height with the batter. It's a good idea to bang the form before baking: lift the filled baking form about 5cm, shake a bit, then slam on the counter few times. This step will remove small bubbles of air around the bottom! Preheat the oven to 170°C (338F) and bake the cupcakes for 22 minutes, then let them cool for 5 minutes in the form, and remove onto a cooling rack. Using the butterscotch recipe, prepare it with pre-measured ingredients (half of the original recipe), then set aside to cool down. 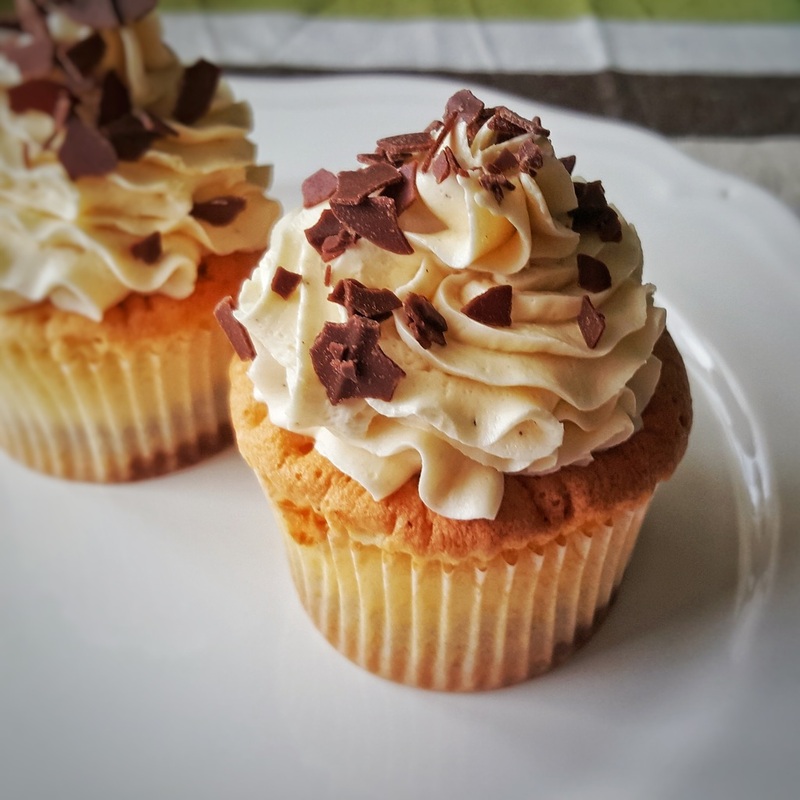 Using a small knife, remove about 2-cm wide part in the middle of each cupcake, and fill it with the butterscotch. You can use a small teaspoon for that. 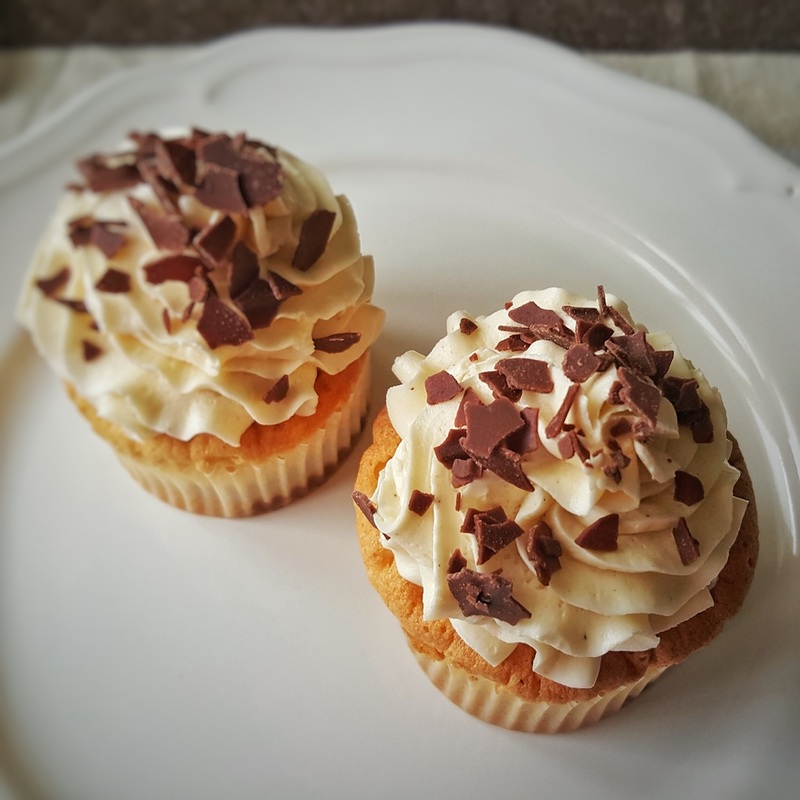 Using the buttercream recipe, prepare it with the pre-measured ingredients. Transfer all of it into a piping bag, and pipe beautiful ruffles on each cupcake (from center to the side, then finish going back into center), covering the filling, and as much of the cupcake as possible. You can now decorate cupcakes with sprinkles, syrup or leave them beautifully plain.